Castor and Pollux is an all-natural brand of premium pet food. If you didn’t know anything about this brand, you might think that it was named after the founder’s pets but the names Castor and Pollux actually come from Greek mythology. Twin brothers, Castor and Pollux appeared in several Greek myths but don’t worry – there is nothing mythological about the pet food. It is just wholesome and nutritious pet food, plain and simple. The company was started by Shelley Gunton and Brian Connolly, loving parents of a lab/pointer mix named Joey. What started as a homemade dog food recipe has blossomed over the past twenty years into one of the top natural and organic pet food brands on the market. Their pet foods are designed to nourish the bodies of pets from the inside out, providing them with all of the essential nutrients they need and nothing they don’t. The Castor and Pollux Natural PetWorks company was launched in 2000 with the release of the world’s first branded, premium-quality line of specialty pet food products. The Organix line of certified-organic pet foods and treats was released in 2003 and the following year saw the debut of the Natural Ultramix line of products. Though they began as a family-owned operation, the company was acquired by Merrick Pet Care, Inc. in 2012 in an effort to spread the brand across the country – Merrick is the only U.S. pet food manufacturer certified to product dry and canned organic pet food products. In 2015, the Merrick Pet Care company was acquired by Nestle Purina PetCare, currently the second-largest pet food company in the world and the largest in the United States. Though the Nestle Purina PetCare has a global reach, the Castor and Pollux brand is produced and manufactured exclusively in the United States. Though the company has changed hands, their products are still developed by a team of experts in the field of animal nutrition and organic ingredients. This company does more than just provide premium-quality organic foods for pets – they are also dedicated to giving back to the community, especially for pets in need. The PetWorks Partner Program was created to provide pet rescue groups and organizations around the company with high-quality natural and organic foods. 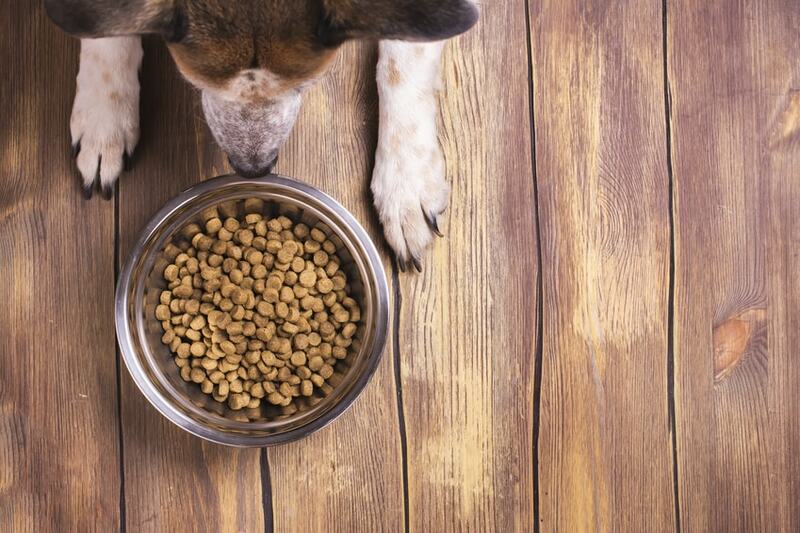 Since the program began, they donated more than 4 million bowls of food to pets in need. The Organix line of pet food and treats from Castor and Pollux was the first and most complete line of organic-certified pet food products in the United States. They continue to be a leader in the field of organic and natural pet food. This company believes in the power of quality nutrition which is why they use only the freshest natural ingredients in all of their products. They believe in the power of organic ingredients to reduce allergies, to improve digestion, and to boost overall health in pets – that is why all of their ingredients are sourced right here in the United States. Not only are they dedicated to using the highest quality ingredients in each of their products, but they also take quality control and safety measures very seriously in the manufacture of those products. This being the case, it should come as no surprise to you that the brand has not been affected by a single recall to date. This is not always an indication of quality but, in this case, it supports the brands claims of being a natural and high-quality brand of pet food. Castor and Pollux dog food products can be found in most major pet food chains as well as specialty pet stores – you can also purchase them from online pet food retailers. Castor and Pollux typically doesn’t offer coupons on the company website but you may be able to find Castor and Pollux dog food coupons from individual retailers. The Castor and Pollux brand is fairly expensive, but you have to remember that this brand uses all-natural ingredients as well as many organic ingredients. The Natural Ultramix product line is the more affordable of the two with 25- and 30-pound bags of dry food ranging from $$40 to $80. The Organix line of dry foods is a little pricier, ranging from $45 to $90 for a 22- or 25-pound bag. You can purchase 12.7-ounce cans of their wet food in cases of 12 for $20 to $50, depending on the recipe, which gives you an average price of around $3.00 per can. Though Castor and Pollux had a modest start, they now offer a wide range of products for both dogs and cats. Their pet foods can be divided into several product lines – Organix, Natural Ultramix, and Good Buddy. The Organix line of products was released in 2003 and it contains both classic and grain-free recipes featuring certified-organic ingredients. The Natural Ultramix brand joined the lineup in 2004 and it features high-quality, natural ingredients like real meat and grain-free carbohydrates. The Good Buddy line of products consists of nutritious and flavorful dog treats. Though each product line is different, they are all made with natural, wholesome ingredients in recipes that are complete and balanced. You couldn’t ask for more. Castor and Pollux takes pet nutrition very seriously which is why they use only the freshest natural and organic ingredients in their pet food products. This brand is the self-described “leader in organic and natural pet food” and one of the only pet food companies that offers certified-organic products. This company makes some pretty lofty claims about the quality and nutrition of their products but these claims appear to be founded in truth. A quick review of several their products reveals the use of organic meats and digestible carbohydrates, not to mention plenty of healthy fats and wholesome fruits and vegetables. Their products are also free from corn, wheat, and soy ingredients as well as artificial additives. This Organix Grain-Free Chicken and Potato recipe is one of many organic and grain-free dog foods that this company has to offer. Made with organic free-range chicken as the number-1 ingredient, this formula does more than just meet your dog’s minimum requirements for protein – it greatly exceeds them. This recipe is made with grain-free potatoes which are highly digestible for most dogs – they also come with a low risk for triggering food allergies and sensitivities. This recipe is supplemented with plenty of healthy fats as well as natural sources for key nutrients. As promised, the first ingredient in this formula is organic chicken – and that isn’t the only protein at the top of the list. Second on the list for this Organix Grain-Free Chicken and Potato recipe is chicken meal. While fresh meats like chicken contain up to 80% moisture by volume, chicken meal has already been cooked to remove moisture so it contains up to 300% more protein by volume than fresh chicken. Though both of these ingredients are excellent additions to this formula, it is somewhat troubling to see not just one but two plant proteins just a little bit further down the list. This recipe includes both pea protein and potato protein as the fifth and sixth ingredients – it is likely that this ingredients contribute significantly to the product’s 32% crude protein content. The main sources of carbohydrate in this Organix Grain-Free Chicken and Potato recipe are organic peas and organic tapioca. These are both grain-free and highly digestible carbohydrates for dogs. These ingredients are supplemented later by organic potatoes and organic alfalfa meal. For fats, this formula relies primarily on organic sunflower meal, chicken fat, and organic coconut oil. It would be better to see the chicken fat listed before the sunflower meal, but these three fats combine to offer a balance of eomga-3 and omega-6 fatty acids. The remaining ingredients in this recipe consist primarily of vitamin and mineral supplements and probiotics. This Organix Grain-Free Chicken and Potato is formulated to meet the nutritional levels established by the AAFCO Nutrient Profiles for maintenance. Overall, this Castor and Pollux Organix Grain-Free Chicken and Potato recipe starts off strong with organic chicken and chicken meal as the top two ingredients. With organic peas and tapioca as the primary carbohydrates, this formula provides plenty of energy and dietary fiber that is grain-free and gluten-free. Where this recipe starts to go downhill is with the use of two plant protein concentrates and the use of a plant-based fat before the first animal-based fat. The position of the plant proteins so high on the list suggests that they contribute significantly to the total protein content of the product. You should also note that none of the mineral supplements are chelated, so your dog will only be able to absorb a portion of the nutrients they provide. This recipe doesn’t contain any harmful ingredients but there is certainly room for improvement. This Natural Ultramix Duck & Venison, Green Beans with Wild Rice Entrée in Gravy Canned Food recipe is made with “hearty portions of natural duck, venison, green beans, and wild rice” to provide your dog with a meat-rich diet that is complete and balanced. As part of the Natural Ultramix lineup, this formula is loaded with fresh, natural ingredients like real meat, fresh veggies, and whole grains. It provides a balance of omega fatty acids for healthy skin and coat as well as natural sources for key nutrients. It is also highly digestible and full of natural flavor. As promised, the first ingredient in this formula is fresh duck. This ingredient is supplemented with fresh venison as a supplementary source of animal protein. These two protein-rich ingredients are separated by turkey broth and water. While these ingredients don’t provide much in the way of nutrition, they help to maintain the moisture level of this formula and the turkey broth contributes some natural flavor as well. What is somewhat troubling to see is the addition of pea protein later on in the list – this is a plant protein and therefore less biologically valuable for your dog than any animal protein. This ingredient appears in the twelfth slot, however, so it may not contribute significantly to the total protein content of this Natural Ultramix Duck & Venison, Green Beans with Wild Rice Entrée in Gravy Canned Food recipe. The main sources of carbohydrate in this recipe are carrots, dried peas, green beans, potato starch, and dried potatoes. All of these are gluten-free and grain-free carbohydrates that offer good digestibility for dogs – they also contribute some dietary fiber to support his digestive system. The fats in this recipe don’t appear until the end of the list which is a little strange – it is also worth noting that they are all plant-based fats. This recipe is supplemented with vitamins and minerals and it does contain several thickeners. The only problem with the synthetic supplements is they offer limited bioavailability for your dog – chelated minerals would be more biologically valuable. This Castor and Pollux Natural Ultramix Duck & Venison, Green Beans with Wild Rice Entrée in Gravy Canned Food recipe is formulated to meet the nutritional levels established by the AAFCO Dog Food Nutrient Profiles for all life stages. Overall, this Duck & Venison, Green Beans with Wild Rice Entrée in Gravy Canned Food recipe is a quality source of balanced nutrition for dogs in all life stages. This recipe starts off strong with duck and venison as the primary ingredients with turkey broth thrown in for moisture and flavor. All of the carbohydrates used in this recipe are gluten-free, though there is one grain – rice. As long as your dog doesn’t have a grain sensitivity, however, he should be fine. This recipe could be improved with the replacement of the pea protein with another meat-based ingredient as well as the inclusion of an animal-based fat. It also wouldn’t hurt to add some chelated minerals and probiotics. In this can of dog food I have found a thigh bone and a smaller bone, the biggest about 2 inches long. Not good for folks that give their pet a whole can.